Since last update, SPX made two quick trips over 2400, but each time failed to hold its gains. 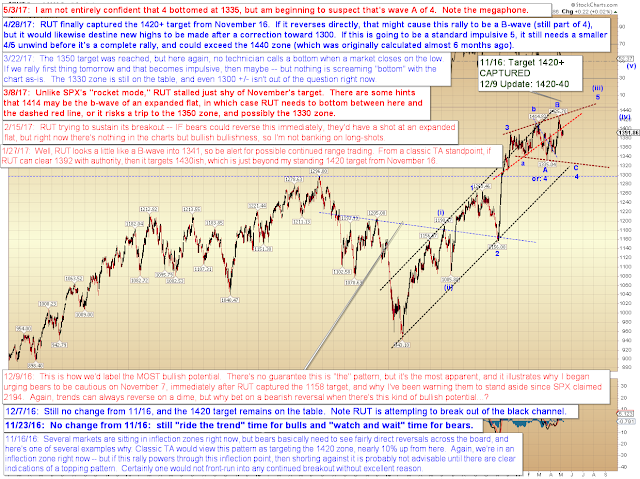 So far, there's no change to the near-term options discussed in the prior update, so today I'm going to focus more on the intermediate options via RUT. The first chart is unchanged from May 3, but the second chart will have more detail. In conclusion, there's no change to SPX from the prior update, but I've fleshed out the leading intermediate options via RUT. 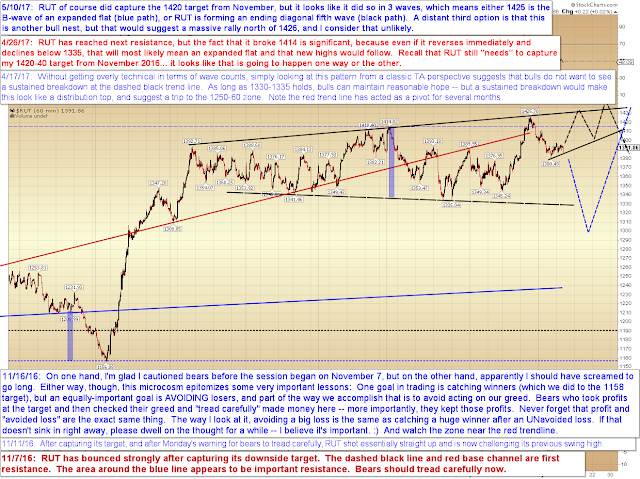 The next step for bears in RUT would be to sustain trade south of 1380. Note there are options for a more complex diagonal than shown, but if such a move unfolds, we'll just have to take that as it comes. Trade safe.